The all-new TS-W303R subwoofer has been upgraded with a bold new look, new features for stronger performance, and a big increase in power handling. Get great performance using either a sealed or ported enclosure - download the Installation Manual PDF (click Documents tab above) for full specifications and recommended enclosure designs. The TS-W303R handles an impressive 1200 watts max. 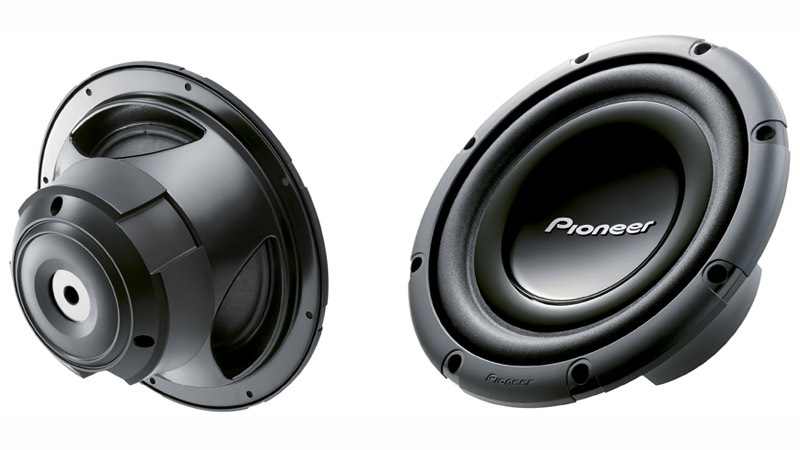 (250 watts nominal power), and features Pioneer�s extremely strong and lightweight IMPP Composite Cone Woofer, for improved sensitivity and reduced distortion. We also recommend covering up your subwoofer with the UD-G308. This stylish spoke grille is a must add-on when building a system and gives the look of pure professionalism.